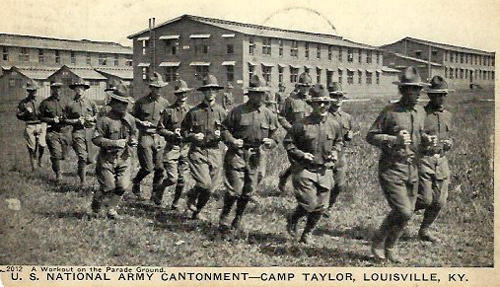 “Some things I’ve seen here I [wouldn’t] believe if I hadn’t seem them.” So declared an awestruck soldier on finding himself in Louisville, Kentucky, for military training at Camp Zachary Taylor. 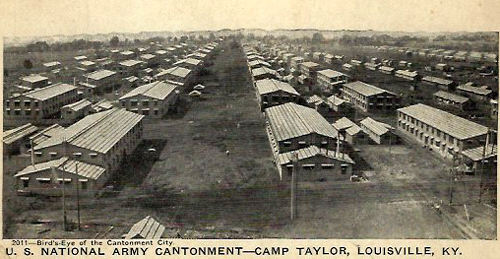 After the U.S. entered World War I in 1917, Camp Taylor (named for the U.S. president and former Louisville resident) materialized in a mere 90 days. The largest of 16 such camps across the country, it grew to the size of a small city, with more than 2,000 buildings and a population of as many as 47,000 troops. As they passed through the camp, soldiers wrote to family and friends with their impressions, and the Manuscripts & Folklife Archives of WKU’s Department of Library Special Collections holds many such letters. Click on the links to access finding aids for these collections. In this centennial year of the U.S.’s entry into World War I, search TopSCHOLAR and KenCat for more of our war collections.